There’s always music playing somewhere in Nashville. It’s called Music City, after all. 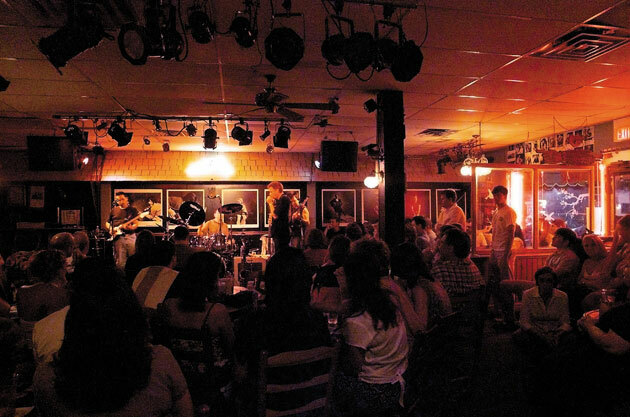 Deep in the heart of the Tennessee capital, visitors can also find lean eats (no matter how strange), all the live music they’ll ever want to hear—and some pretty cool duds. Meat-in-bun combos at Burger Up (2901 12th Avenue South, 615-279-3767, www.burger-up.com) are made from the leanest, most organic meats from local Tennessee farmers. Try the meatless Marathon, a quinoa, pecan and black bean burger or the heartier Woodstock made with locally-raised, Benton Farms bacon and a touch of Sweetwater Valley cheese. Go even leaner with bison, salmon, lamb or turkey versions. Get some Omega-3s and protein with Charleston She-Crab (yes, female crabs), grilled grouper or shrimp and grits, all an order away at Fish & Co. (2317 12th Avenue South, 615-292-2655, www.fishco-nashville.com). A popular take out stop for locals like Taylor Swift, patrons can sit and dine or get their fish to go. 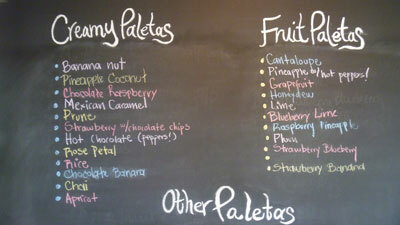 Popsicles are good any time of year—and lower in fat than a cup of the creamy stuff at Las Paletas (2905 12th Avenue South, 615-386-2101). Cool down with Mexican-style homemade ice creams popsicles made of all-natural ingredients. Try spicy hot chocolate or honeydew, or opt for a unusually tasty cream treat like avocado, cucumber with chili or hibiscus. Along 12th Street South, there’s some vintage, country and rock ‘n’ roll garb hanging inside Katy K (2407 12th Avenue South, 615-297-4242, www.katyk.com). Designer K has dressed the man in black and offers up custom-made and consigned vintage rockabilly or “ranch dressing” while Imogene + Willie (2601 12th Avenue South, 615-292-5005, www.imogeneandwillie.com) has more modern finds. Sit at the famous Steinway piano or take a look at the barn board closet door that Elvis kicked in (still broke) during one of many tumultuous moments recording inside the historic Studio B (1611 Roy Acuff Place, 615-416-2001, www.countrymusichalloffame.com/studiob). Still used for recording and educational purposes to this day, the studio, located in the heart of Music Row, also operates as a partial museum. In moderation caffeine can help regulate blood circulation and provide an instant mental boost. 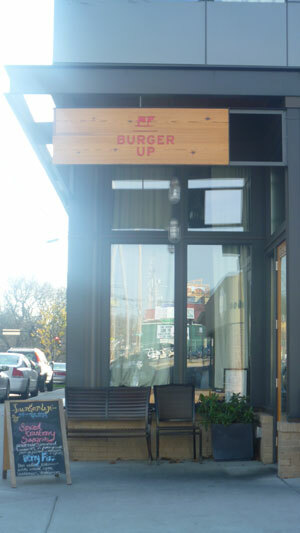 When in Nashville, pop into Frothy Monkey (2509 12th Avenue South, 615-292-1808, www.frothymonkey.com). Maybe you’ll see a celeb—maybe not. Either way, grab a frothy cup of Joe or a potassium-infused Monkey Mocha, an espresso blend of cocoa, organic banana syrup and milk. Great works of Impressionism, Realism or the more obscure and local installations are housed inside the Frist Center for the Visual Arts. 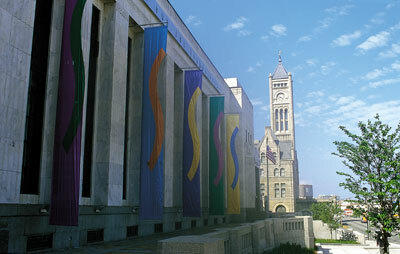 On Wednesdays, the museum stays open past closing hours on Wednesdays for live music and cocktails. 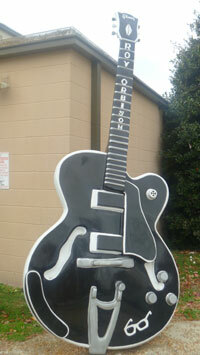 Need a Chet Atkins Hollow Body Gretsch, custom Les Paul or a newer model from Taylor or Collings? Gruhn Guitars, which opened in 1970, is the place whether you riff or just want to look at some cool guitars. The Black Keys, Avett Brothers and Foster the People have played there, but rock star sightings or performances are not the real magic of Grimey’s New & Preloved Music (1604 8th Avenue South, 615-254-480, www.grimeys.com). Step inside for a new, used and gently used collection of vinyl—whether you crave Hank Williams or a concoction from Third Man Records’ (and Nashville-based) Jack White. There’s music every night in Nashville. Drop into 12th and Porter (114 12th Avenue North, (615) 320-3754, www.twelfthandporterlive.com), Mercy Lounge (1 Cannery Row, 615-251-3020, www.mercylounge.com) or downstairs at Grimey’s tiny Basement (where Metallica recorded “Live at Grimey’s Basement” EP, 2010) for rock or catch some of the top musicians, producers and writers in the industry huddled in a circle for a random jam session at the Bluebird Café (4104 Hillsboro Pike, 615-383-1461, www.bluebirdcafe.com).